Are you in the market for a new AC system? At Caldeco Air Conditioning & Heating, we provide residential and commercial customers with the top quality HVAC systems they need to keep their homes and businesses cool all year ‘round, and we offer best-in-class air conditioning installation services on a wide range of makes and models. 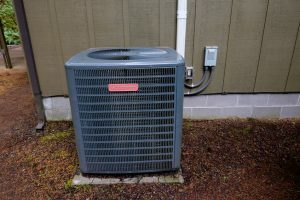 If you have an AC system that is 8 years old or older or simply need an AC unit for a new residential or commercial space, let our experts help you decide which system is right for you. We can help you determine critical factors, such as square footage, ideal temperature settings, operating hours and more, that will help you hone in on the model that will best meet your needs. We are happy to provide you with a new AC system quote and can offer financing opportunities for qualifying customers with approved credit. In addition, our air conditioning installation service will be efficient and hassle-free to help ensure your system is operating as quickly as possible. Caldeco Air Conditioning & Heating is renowned throughout Central Florida for providing the very best air conditioning service at prices that won’t break the bank. We are an Angie’s List Super Service Award Winner and a six-time winner of the prestigious Carrier President’s Award, so you can trust that we will always provide the highest quality service on every service call. We are also pleased to offer an assortment of specials and discounts throughout the year to help customers save even more money on their heating and cooling costs. If you are looking for air conditioning installation, repair or maintenance service in Clearwater, Land O’ Lakes, Pebble Creek, Trinity, Wesley Chapel or the neighboring cities, contact the Hometown Experts at Caldeco Air Conditioning & Heating today to schedule a service call. We look forward to serving you!